term, minute by minute planning guides as well. 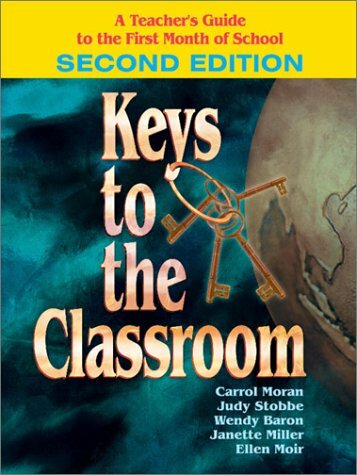 Incorporating the input of many new and veteran teachers, Key to the Classrooms second edition offers greater detail and a more expanded format than the popular original text. Janette Miller has taught grades K-6, served as a reading specialist, evaluated new employees in Santa Cruz City Schools District, and supported new teachers through the Santa Cruz New Teacher Project. She has extensive training in classroom management, peer coaching, and evaluation. She has particularly enjoyed training novice and veteran teachers in classroom management techniques, direct teaching model, the reading/writing connection, and conceptual math strategies. Currently she is a Cotsen Family Foundation mentor working with veteran teachers to improve their practices.